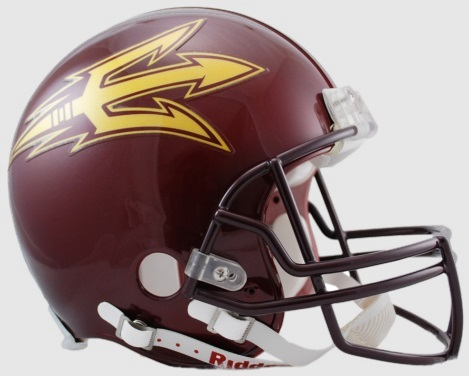 The standard helmet worn by players for over 25 years and still going strong. Polycarbonate Size Large shell, steel, polyvinyl-coated Z2B (running back quarterback) facemask. 4-pt. chinstrap. Official team colors and decals. Select teams have base attached to helmet. The ultimate way to show your school spirit Approx. 10 tall.